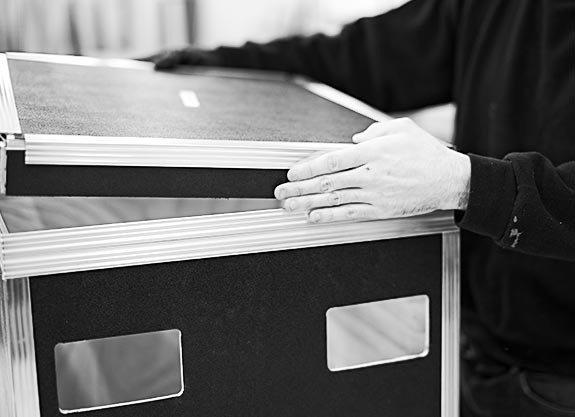 AS A MANUFACTURER, THE CAISSE DESIGN TEAM HAS THE EXPERTISE IN THE DESIGN OF ATA-300 TYPE TRANSPORT CASES FOR OVER 15 YEARS. NO MATTER YOUR DESTINATION, OUR PRODUCTS CROSS BORDERS AND WEATHER! Proudly established in Canada, Caisse Design is a family own business, whose reputation is second to none. 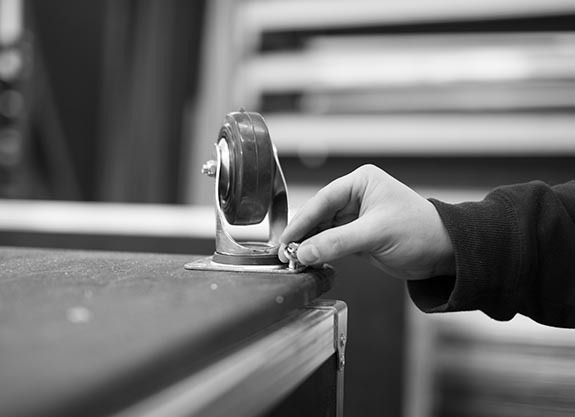 All of our shipping cases are manufactured in our Quebec City location and surpass the industry standards for durability and strength. The excellence of our worldwide customer service is part of the total quality process to which you are entitled. 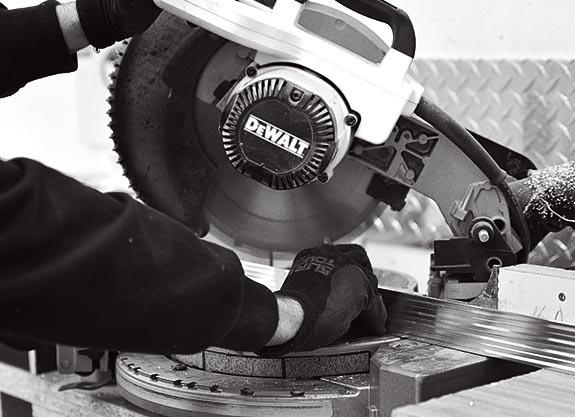 With this in mind, we use all our skills and ingenuity to develop and design products that meet your most stringent requirements to protect your most fragile equipment. Each transport case is specially designed according to the efficiency and design required. We work with you to design the final product that will meet all your requirements. At Caisse Design we can help you design a specific product for your needs. In addition to a choice of 17 colors, we offer a variety of exterior finishes including ABS plastic, laminates (Arborite), fiberglass and others. We can also design a personalized identification system for your cases through screen printing. Made of aluminum alloy, the angle-double interlocking system of our cases offers superior resistance of the single angle system. The walls are inserted inside the double angle and stitched together. Male-female extrusion ensures an effective and precise seal. Depending on the model chosen, we use a built-in or external handle. In addition, we offer an exceptional variety of options that make your case the most efficient for your needs. 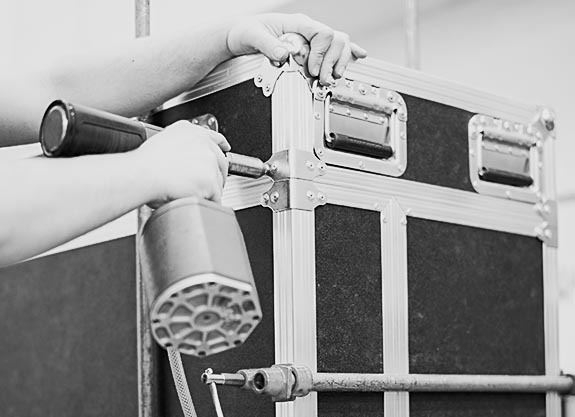 At Caisse Design we offer to manufacturing companies the possibility of keeping a predetermined quantity of transport cases in inventory. Take advantage of it will ensures you of their expedition the same day. Ask your representative. Caisse Design is also a proud partner and authorized distributor of the entire Pelican ™ product line.